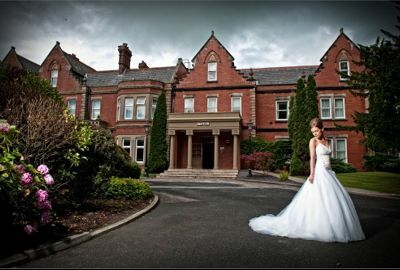 Are you looking for a hotel wedding or event space for hire? We recommend you to consider one of 133411 big or small hotels available in our catalogue. DoubleTree by Hilton Cambridge City Centre is in the perfect city centre location for your event in an idyllic riverside setting. Our friendly team is dedicated to making your event everything you imagined. We understand the importance of making it perfect and will guide you through the process from start to finish to ensure success. Whether you are looking for an intimate dinner, a large corporate event or a wedding, we have it covered. 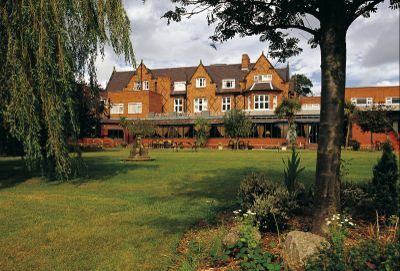 The river and gardens of the hotel provide a romantic backdrop for a memorable day. Expect first class facilities, excellent hospitality and options for almost every budget. We have many packages available to suit your needs, from an intimate occasion to a grand fairy tale wedding in our prestigious Granta suite. 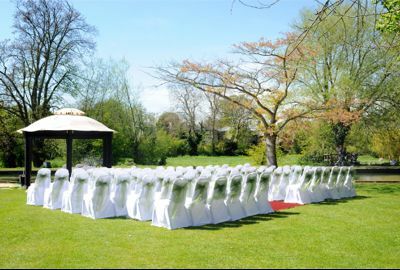 If you want to say 'I do' in the summer sunshine next to the river, our garden gazebo is also available for a beautiful outdoor ceremony. Our wedding planner is on hand to take you from the initial planning stages to the final details, meeting with the team to create a day as individual as you are so everyone will relax and enjoy the special day. • We can help you with any special request for your day and assist you in finding cake specialists, florists, entertainment, beauty treatments and transport! 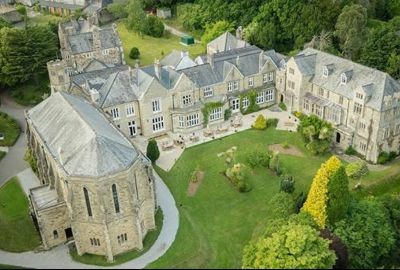 With four fully licensed rooms for wedding ceremonies, civil partnerships and blessings - making it the perfect venue in Cornwall for intimate and bigger weddings. If you choose to get married elsewhere, perhaps at the Cathedral or your local church, The Alverton can host the rest of your day from your drinks reception through to the evening party. 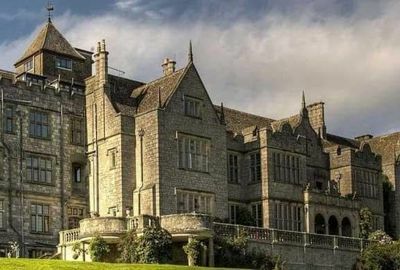 The Alverton offers a classic, romantic and elegant setting, so let our beautifully unique hotel become yours, and celebrate in true stately style. • The hotel offers bespoke menus with fabulous food presented in a stylish, contemporary way and the food is often the highlight of the day. • The hotel can offer exclusivity for the Bride and Groom and all our beautifully appointed bedrooms are available to guests. The Cumberland has an award winning bar, open all day every day. 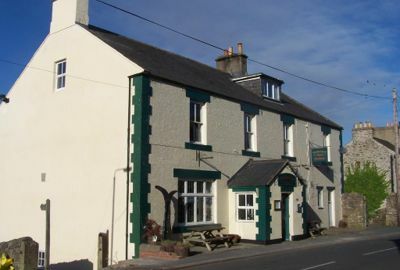 Voted 2009, 2010 and 2011 pub of the year by the Solway CAMRA Branch, we came runner-up in the Cumbria Pub of the Year 2009. We have now been in the CAMRA Good Beer Guide for 15 consecutive years.We are proud to offer Real Ales from award winning local breweries such as Mordue, Allendale, High House Farm, Hesket Newmarket, Barngates, and many others. Real Cider from the Jug, Stowford Press Cider, Theakston Best, Guinness, Amstel and Kronenbourg are also available. A full range of soft drinks is also on offer. An extensive range of Malt Whiskies, Gins and wines, alongside the usual range of quality spirits and mixers complete the range of drinks available.The 'Lounge Bar' serves bar meals through the week and Roasts (with various options) on Sundays. 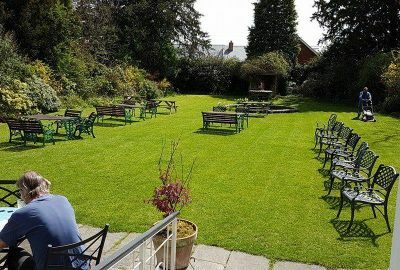 A popular spot for locals on a Sunday Lunchtime and ideal for those passing through Alston.Our Patio overlooks the South Tyne Valley which provides a spectacular backdrop on warm sunny evenings. A licensed wedding venue in the centre of Windsor, the Sir Christopher Wren Hotel offers tailor-made weddings to suit your desires and budget. Our dedicated wedding coordinators will help you personalise your chosen package – from red carpets and vintage cars to Thames cruises from the hotel’s private jetty. Brides can treat themselves to a facial or massage in the Wren’s Club or arrange a beauty therapist on the morning of the big day. With its outdoor jacuzzi, sauna and relaxation room, the spa is also a fine spot to kick off a hen night. 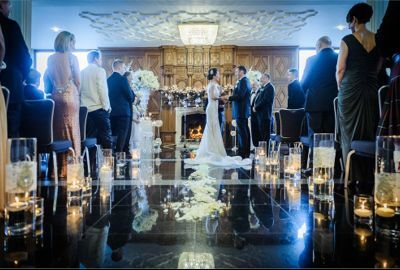 After the wedding, couples enjoy a complimentary stay in a spectacular bridal suite overlooking the Thames. 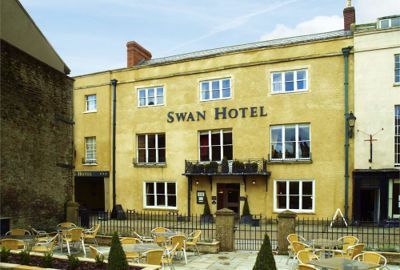 We offer discounted accommodation rates to all wedding guests so nobody has to rush off after dancing the night away. 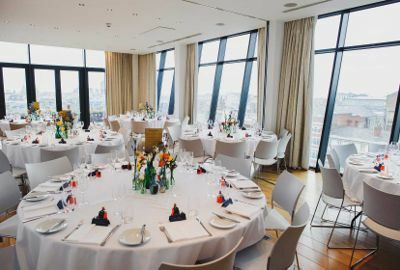 You can host up to 110 guests in the Princess Suite with its huge windows, private bar and direct access to the Thames View Terrace for drinks and photos. Or how about the Sienna Room, with its deep red chairs and curtains, it is an atmospheric spot for an intimate wedding or family meal. 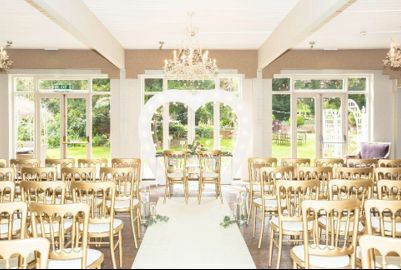 East Lodge also holds a Civil Wedding Licence, enabling us to offer a fairytale experience for someone’s ‘Special Wedding Day’. 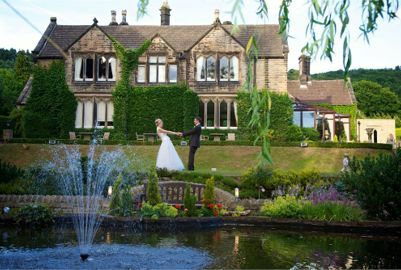 Our experienced and attentive wedding team understand just how to make your Peak District Wedding a celebrated occasion that will delight and impress your family and friends. 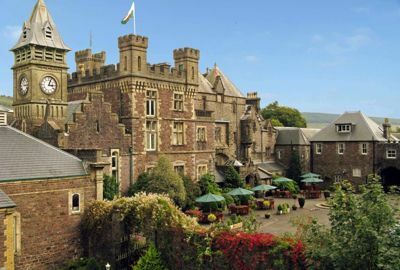 If you’re looking for wedding venues in South Wales that will do justice to your big day, look no further! We only hold one wedding reception a day at Craig y Nos Castle, so you will take over the castle - it's exclusively yours - for your wedding day! B​est Western Hotel Rembrandt have been hosting wedding receptions and events for more than 25 years and have held a civil wedding license since 1995. Our dedicated wedding and events team have a wealth of experience to assist you in all aspects of the planning; ranging from the choice of suite, selection of packages and the provision of tailor made services. Our team are on hand to do as little or as much as you may require. We pride ourselves on a simple philosophy, ‘It’s your day and your choice’, our role is simply to make your day just what you always imagined it would be. We offer everything from a formal sit down meal to a less formal buffet, and more in between. With choices on the number of courses, table layout, colour schemes and so much more we believe this is just another way we can help tailor your wedding or event to your individual needs should you require guidance. 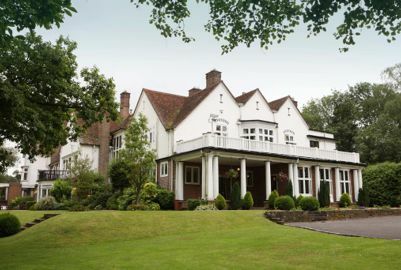 We have three main suites; the Chesham Suite, our largest, accommodating up to 200 people. Suites can facilitate both your Civil Ceremony and wedding reception. Our 78 bedrooms offer en suite bathroom, tea and coffee making facilities, 24 hour room service, free use of our Leisure Club(**) and Wireless Internet. We also have two fully fitted Disabled Access Rooms located on the ground floor. We are located just outside Weymouth town centre, 10 minutes drive from the A35, with ample free parking. The Weymouth Registry Office, St. Augustine’s Catholic Church and St. John’s C of E Church are all less than five minutes walk from the hotel. Weymouth railway station is 10 minutes walk. Conveniently located just 5 minutes’ drive from the centre of Chesham, yet surprisingly tranquil given its proximity to Central London and nearby airports, Chartridge Lodge provides a perfect environment to relax and unwind.If you are looking for accommodation in the heart of Buckinghamshire then Chartridge Lodge is ideally situated, just a few minutes’ drive from the centre of Chesham, which sits directly on the Metropolitan train line. The Restaurant and Lounge have a comfortable and friendly atmosphere and are the perfect place for a get together for coffee or drinks, to enjoy a light lunch, afternoon tea or dinner and the free wifi and parking makes it ideal for meeting up with colleagues. 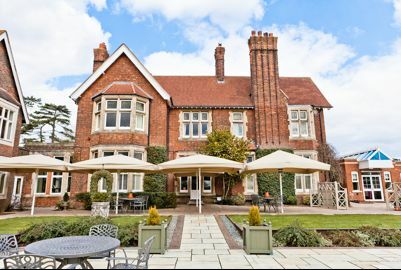 The Menu offers a wide choice of freshly prepared dishes using local and seasonal ingredients, we welcome non residents although booking is advisable for Afternoon Tea, Lunch and Dinner. Hotel guests can also enjoy the facilities at our neighbouring leisure centre with its indoor and outdoor pools, sauna and café. 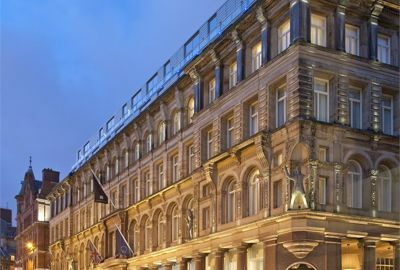 Hard Days Night Hotel is the crowning glory in Liverpool's collection of wedding venues. Set within a classical 1880's building with its unrivalled design, its the ideal location for those couples looking for an exclusive and intimate wedding or civil partnership in the heart of Liverpool. 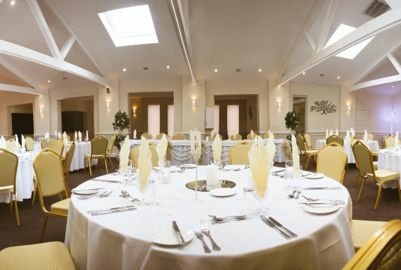 The Two of Us suite can accommodate up to 75 guests for civil ceremonies. Wedding breakfasts can then be taken in one of the hotel's function rooms adjacent to the Two of Us suite for up to 110 guests with evening receptions being held for up to 180 guests. Civil Ceremonies - Many happy couples are choosing to have a civil ceremony rather than a traditional church wedding service. Hard Days Night Hotel have designed the Two of Us Suite exclusively for civil ceremonies. Looking for a totally memorable and unique event, guaranteed to leave you with a lasting impression. Celebrate your special event with us, from a small gathering to exclusive use, whether it's for a Baby Christening, Baby Shower, Special Birthday, Anniversary or Naming Ceremony, let our friendly and creative team craft an event for you that really will be 'one of a kind'. The Elephant has returned to its roots. 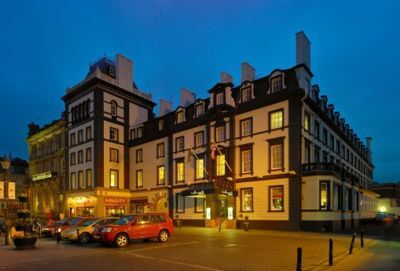 The hotel was originally called The Elephant when it first opened in the late nineteenth century, but its name was changed to The Copper Inn in 1967. 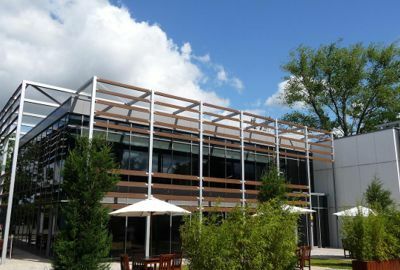 After spending nearly 4 months giving it a complete refurbishment, it reopened just before Christmas last year – once more under its original name. To the left shows an early advertisement for The Elephant Hotel at Pangbourne. 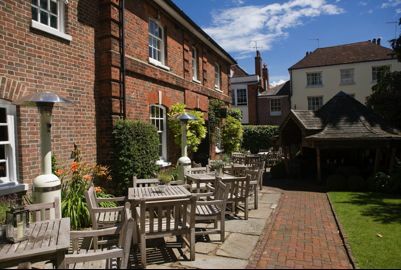 The hotel has always formed a central meeting place within the village of Pangbourne. In fact what is now the hotel car-park used to be the stabling block for the hotel up until the turn of the 20th century! Our ethos is to create and sustain a genuinely friendly and relaxed atmosphere throughout the hotel. - An experience beyond your expectation.